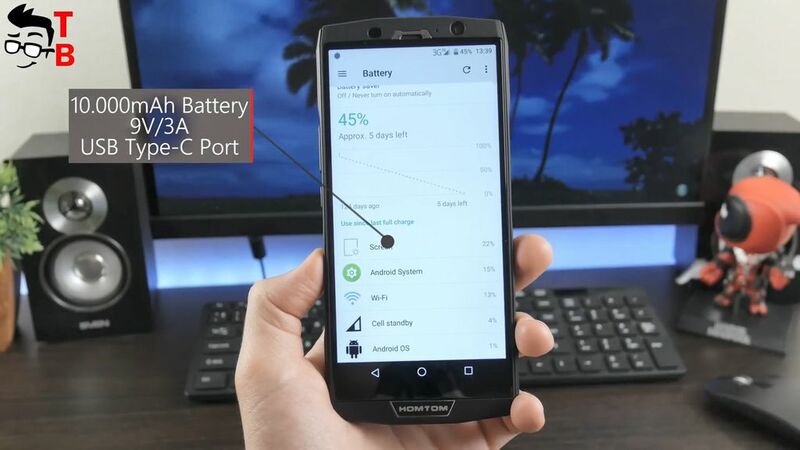 Home » Review » HOMTOM HT70 Review In-Depth: 10000mAh Battery is enough for you? Finally, I received HomTom HT70. It is new Android phone with very big 10000mAh battery. We already made first review of this phone, and even compare it with another big battery phone called Blackview P10000 Pro. You can find links to these videos in description. Today we have real unboxing and first hands-on review. As usual, there will be another three videos about this phone, such as performance test, battery test and camera test. All of them you can find in description. The main feature of HomTom HT70 is 10000mAg battery. Also it has 6-inch HD+ display, 4GB of RAM, 64GB of internal memory, and dual rear camera with 16 and 5 megapixel sensors. 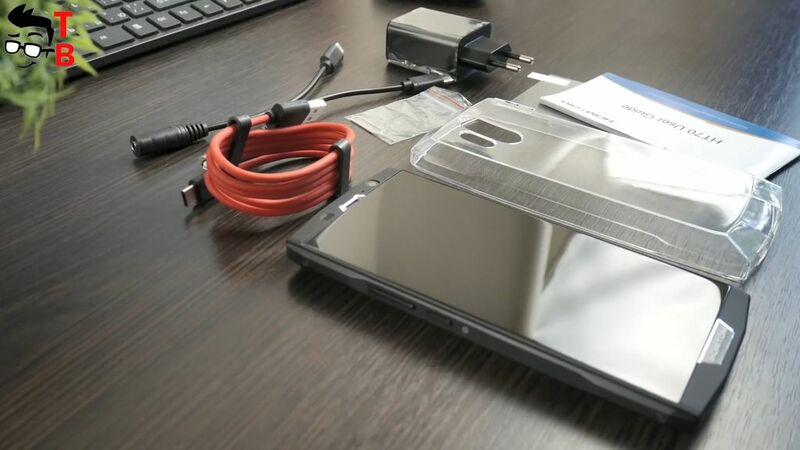 So, let’s start with unboxing, and then review the design of this phone, because it looks very interesting. The smartphone comes in a black textured box. It doesn’t have any images, and there is only company logo on the front panel, and specifications list on the back. 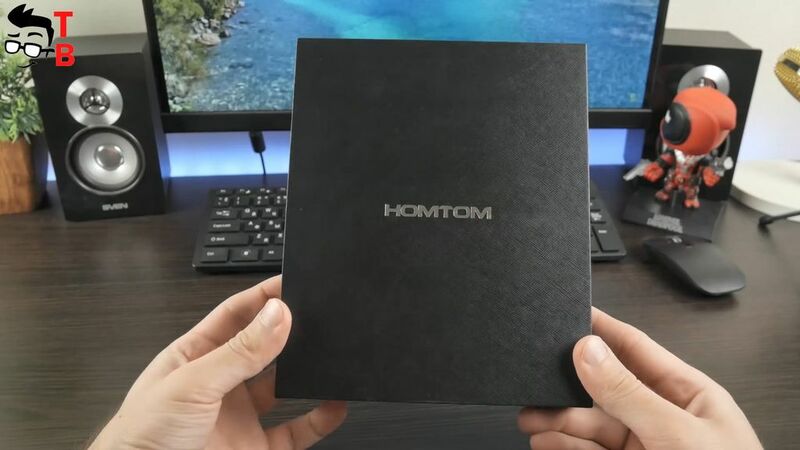 Inside the box, you can find HomTom HT70. The smartphone has factory film on the front and back side. Also, there is power adapter, USB cable, user manual, silicone case, protective film, and OTG cable. Also I want to note about adapter from USB Type-C to 3.5 mm audio jack. It is quite important, because HomTOM HT70 doesn’t have 3.5 mm audio jack, and if you want to listen to music, you need to use the adapter. In general, the package is very good. I like the red USB cable, and it looks like USB cable from OnePlus 5. 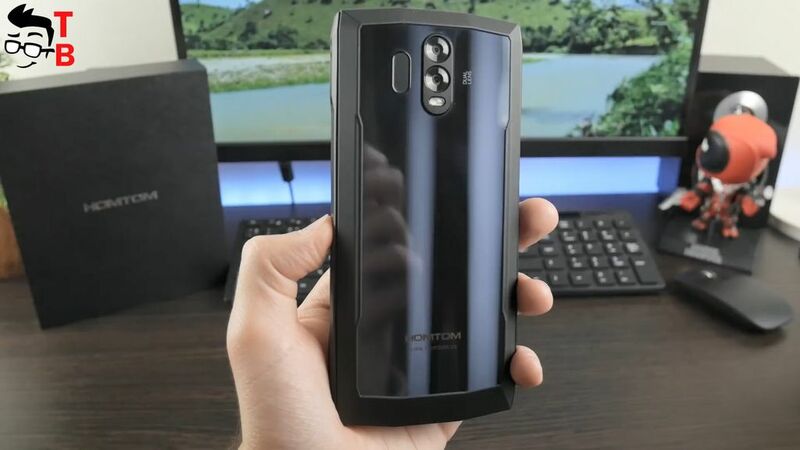 As for design of HomTom HT70, first, I want to say about its size and weight. It is really big and heavy phone. Its dimensions are 16.55 by 7.7 by 1.45 cm, and weight is about 300 grams. Compared to my OnePlus 5, it is two times thicker. However, if you look for the phone with very big battery, then all of them are thick. 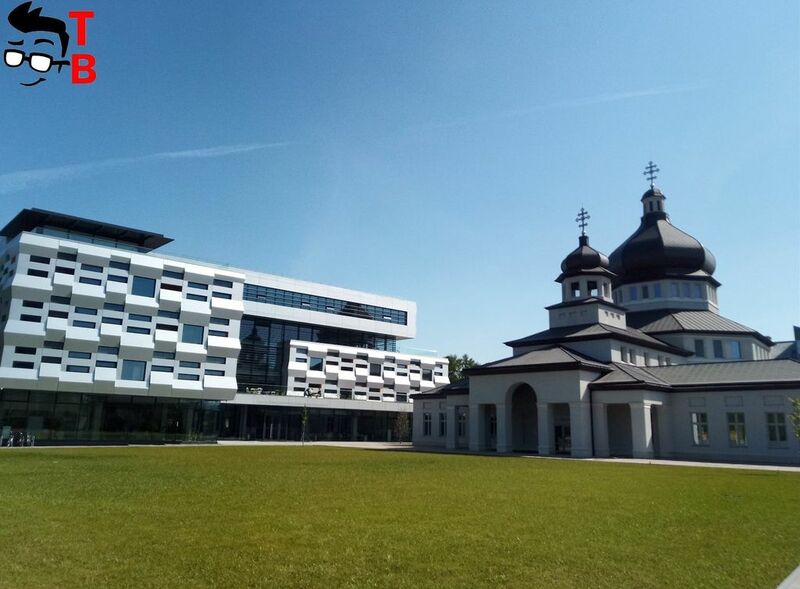 In general, design is very impressive. 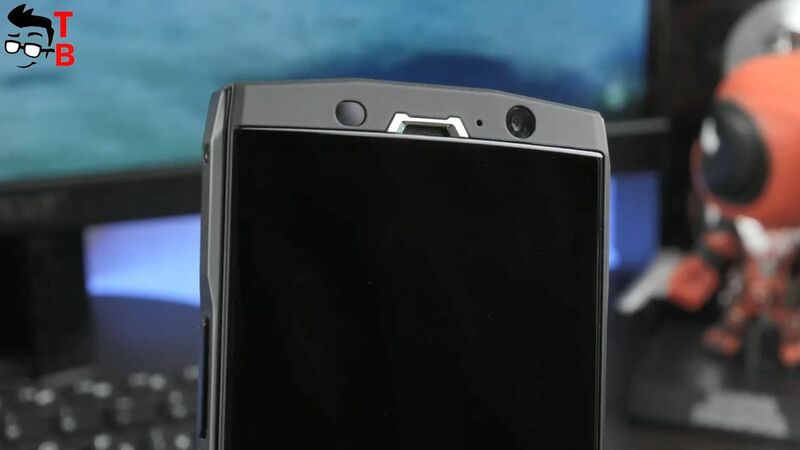 The front panel has big 6 inch display, company logo under the screen, while front camera, earpiece, and other sensors are located at the top. The back cover is made of nano-composite material, and it shines and feels like a glass. 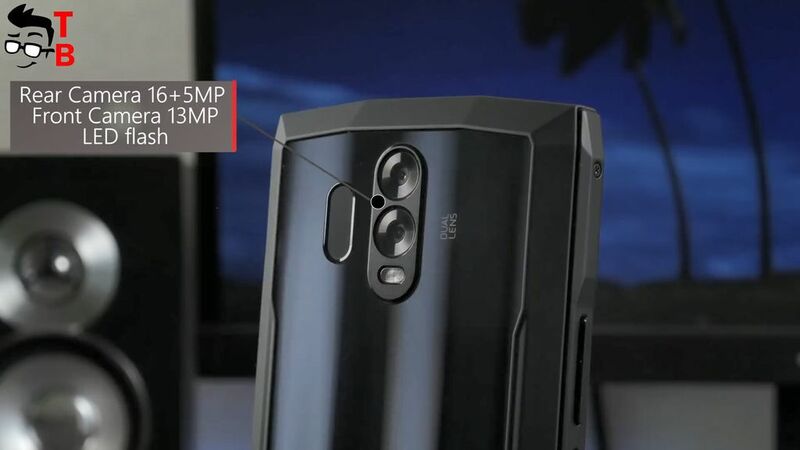 Here you can see dual rear camera, flashlight and fingerprint reader next to the camera. I think it is not the best place for fingerprint reader, because you can accidently touch the camera sensors and make it dirty. HomTom HT70 doesn’t have any protection by IP standard, but it has metal frame, and it can save the phone after dropping on hard surface. The physical buttons, such as power and volume rocker, are located on the left side, and the slot for SIM cards and microSD memory card is on the right. On both sides you can see screws. To be honest, I don’t know why you need them, maybe you can remove the back panel or something else. 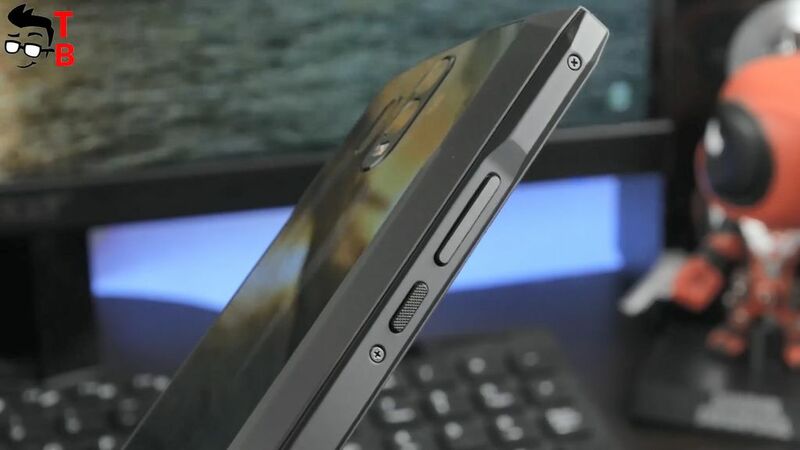 At the bottom there is USB Type-C port and speaker. HOMTOM HT70 has a hybrid slot for SIM cards. It means that you can use two SIM cards at the same time, or one SIM card and microSD memory card. So, HomTom HT70 looks very impressive. I have a black version, but white model looks even more fantastic. 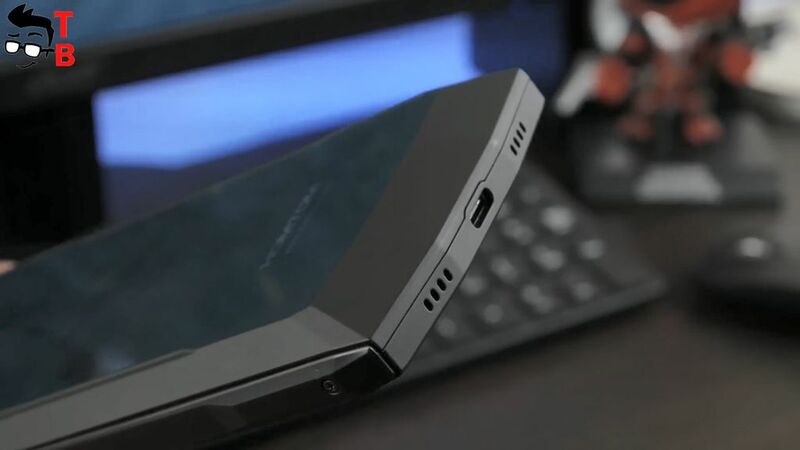 Yes, it is quite thick and heavy phone, but you should not forget about 10000mAh battery. The thickness is the pay for long battery life. As for the display, it has diagonal of 6 inches and HD+ resolution, 1440 x 720 pixels. This is 18 by 9 aspect ratio, so the screen is longer, and the phone is more comfortable to hold in one hand. 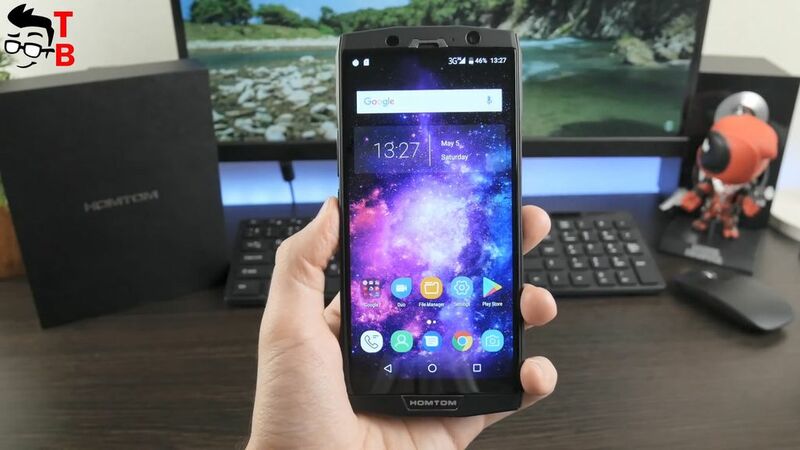 I think that HD+ resolution is enough most modern phones, and HomTom HT70 really has bright, detailed and good quality display. The brightness is enough to use the phone in direct sunlight. However, I don’t understand why it has black bezels around the screen. It will be much more attractive without them. HOMTOM HT70 is powered by Mediatek MTK6750T chipset. It is entry-level quad-core processor with pretty good performance. 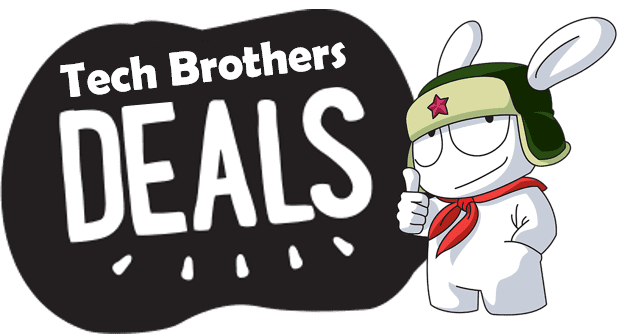 It is used in many budget Chinese phones, such as Cubot X18 Plus, HomTom S8, Umidigi S2 Lite, Bluboo S3 and others. Also, new phone has 4GB of RAM and 64GB of storage. There is a slot for microSD memory cards up to 256GB. The hardware is good for budget phone, but let’s look at benchmarks. I want to start with the most popular benchmark test – AnTuTu. 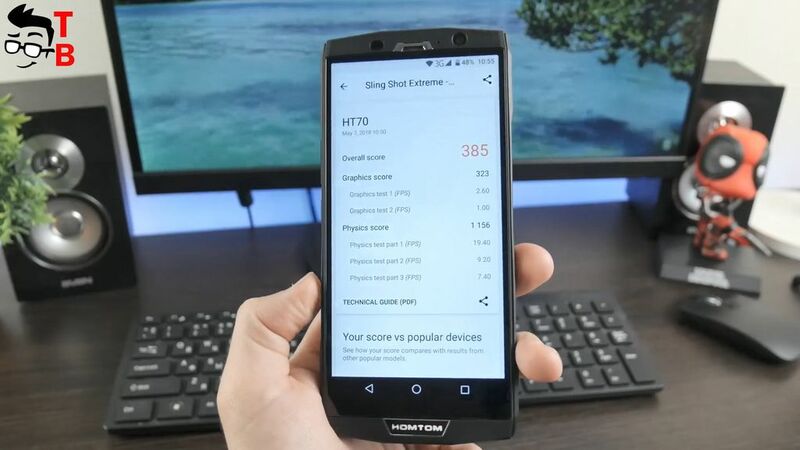 HOMTOM HT70 scores almost 60000 points. The next benchmark – GeekBench 4 – shows 611 points in single core test and 2627 points in multi core test. Also memory speed test can be useful for someone – HOMTOM HT70 has 255 MB/s reading speed, and 108 MB/s writing speed. Finally, I want to show you 3DMark Benchmark and Sling Shot Extreme Test. The overall score is 384 points. 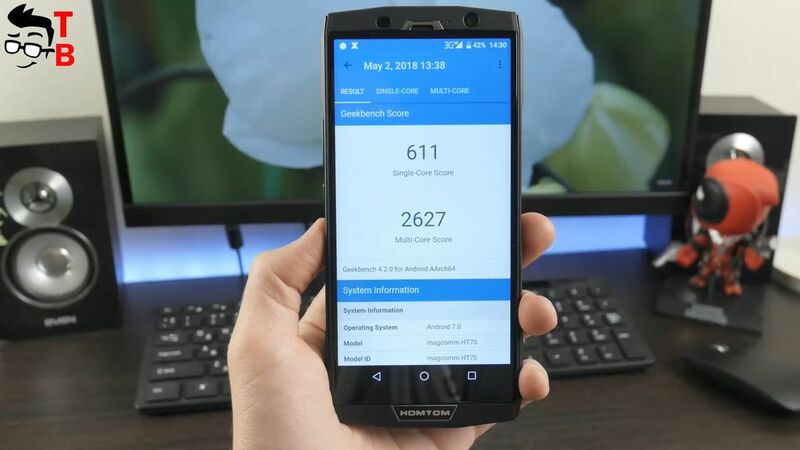 So, benchmarks say that HOMTOM HT70 has pretty good performance, but you should not expect much from it. Now let’s play some games to make final conclusion about this phone. 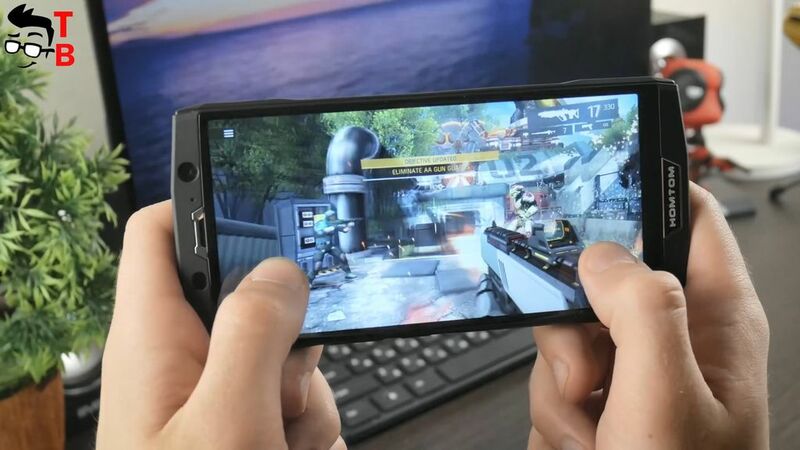 I will play the latest Android games, such as PUBG Online, Shadowgun Legends and others. You should note, if I could play these games, then you will run any other Android games without any problems. 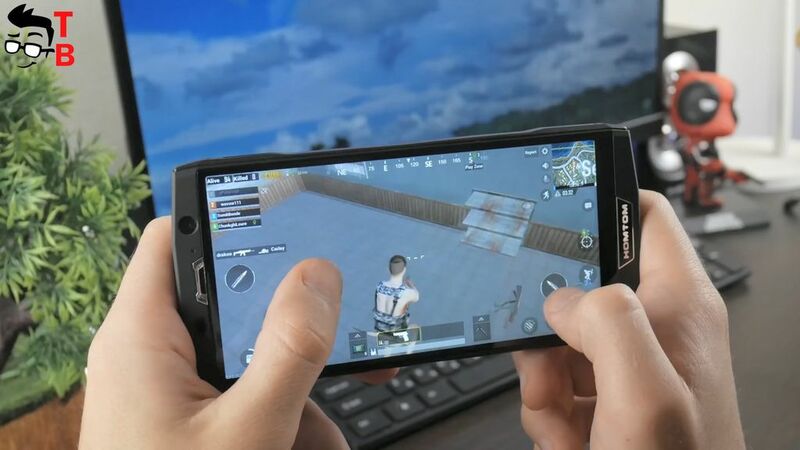 The most popular Android game for today is PUBG Online. I will run it with default graphics settings. It launches a little more time, compared to my daily phone, OnePlus 5, however it runs very good. I don’t see any lags or breakdowns while playing game. However, after about 10 minutes of gaming, I will notice the first problem of this phone – it heats up very much. I didn’t feel it when surfing internet, user interface, but when you play games – it becomes really hot. The next game I want to play is Shadowgun Legends. It is another popular Android shooting game from the first person. I like this game for amazing graphics and action. 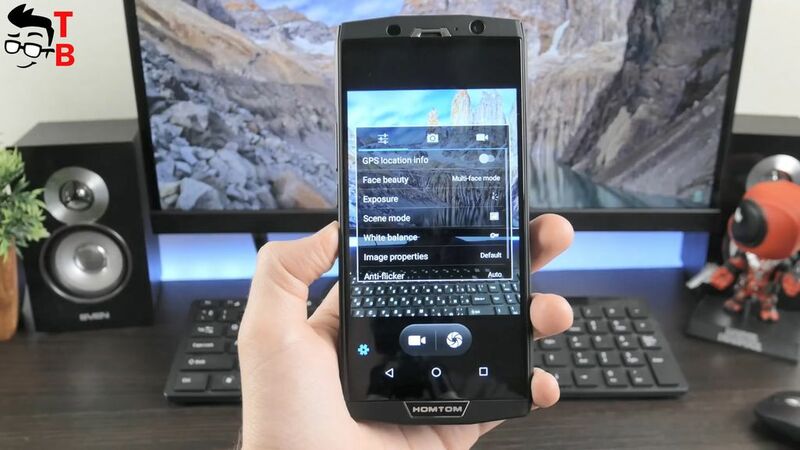 You should not forget that HOMTOM HT70 is a budget phone, and from time to time, the FPS may drops. However, in general you can play this game without big problems. Yesterday I watched new movie from Marvel called Infinity War. It is amazing film, maybe even the best from Marvel. Have you already watched it? Write in comments below. 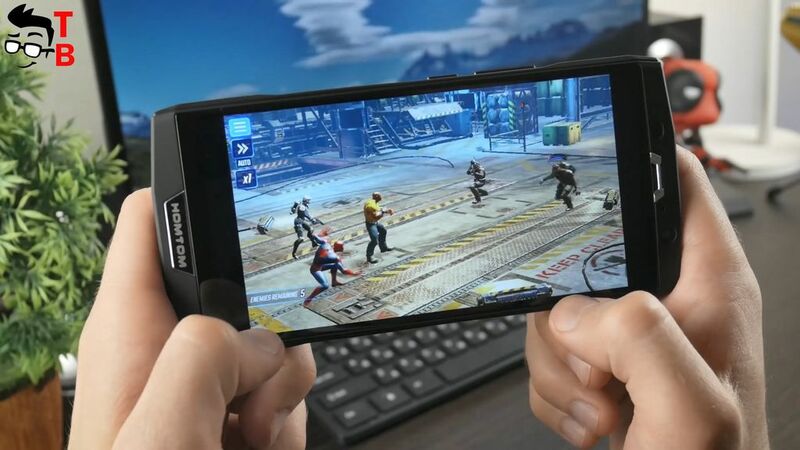 Today I entered Google Play Store, and found Marvel Strike Force. If you are big fan of Marvel movies, then you should play this game. HOMTOM HT70 is good smartphone for this. 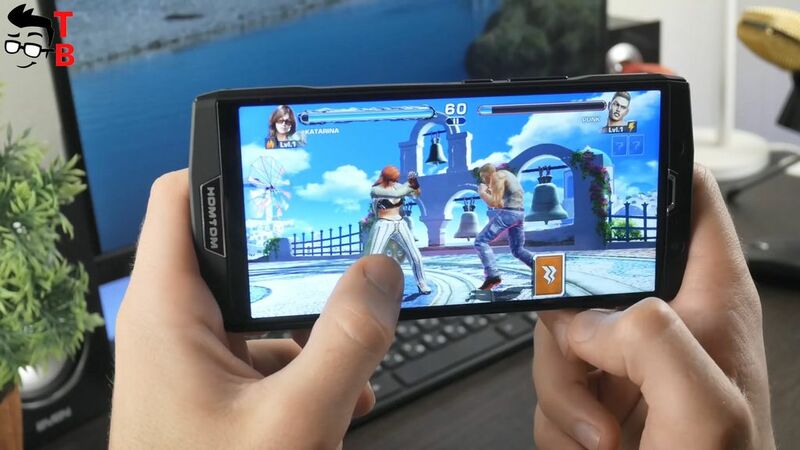 The next game is Tekken Mobile. This is a fighting game from my childhood. I played it on PlayStation 2. Now, it is available on Android phones. If we talk about HOMTOM HT70, it runs this game pretty well. I don’t notice big problems, only the smartphone is very hot. Finally, the last traditional game for performance test is Asphalt 8. The most popular racing game on Android platform. 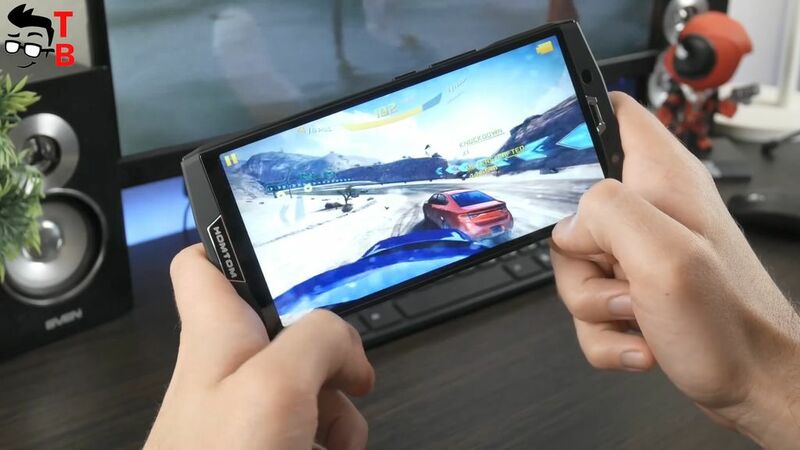 In general, it is comfortable to play this game on HOMTOM HT70. There are no big lags or slowdowns. 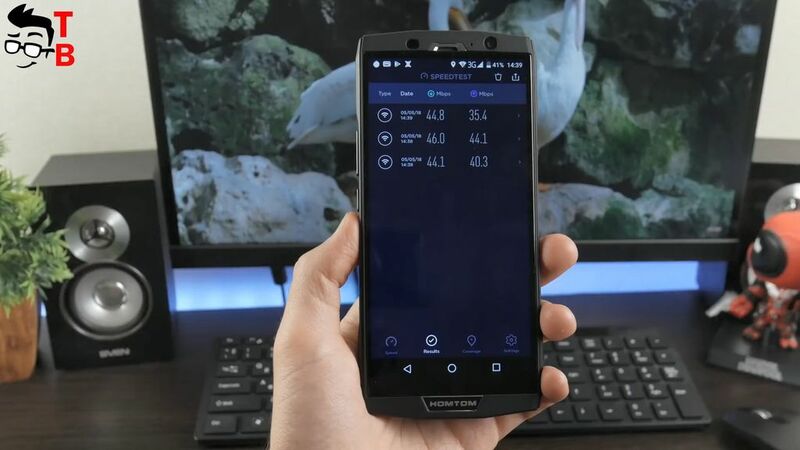 HOMTOM HT70 has very good performance for its price. 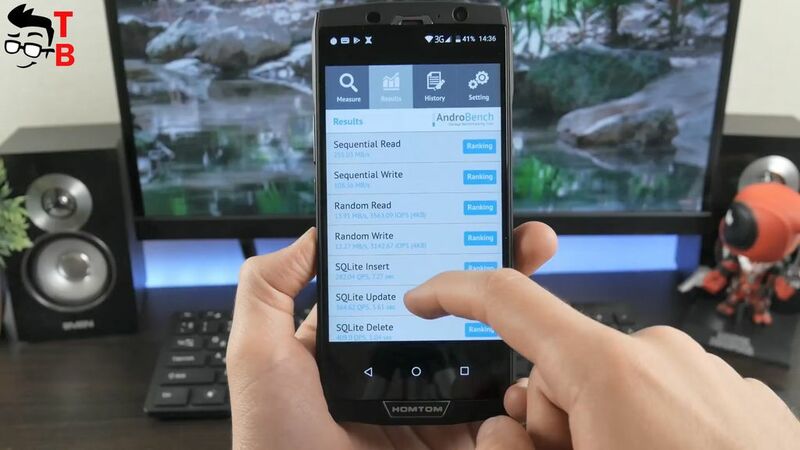 It shows good results in benchmarks and runs any Android games without problems. However, the main problem is temperature. 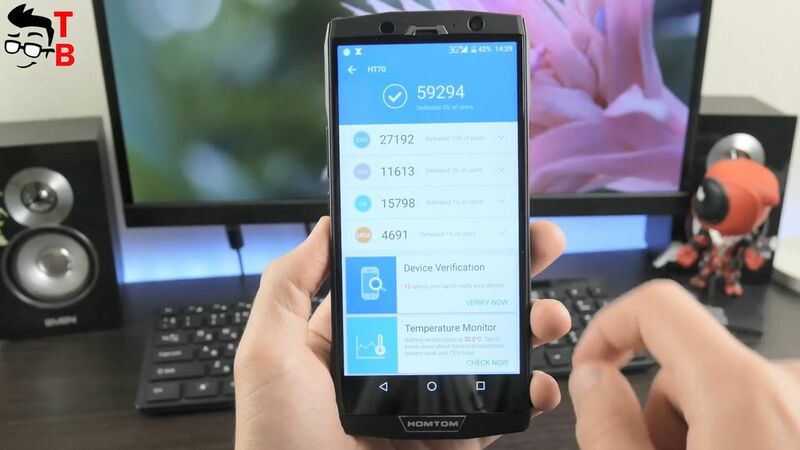 HOMTOM HT70 becomes very hot after long gameplay. 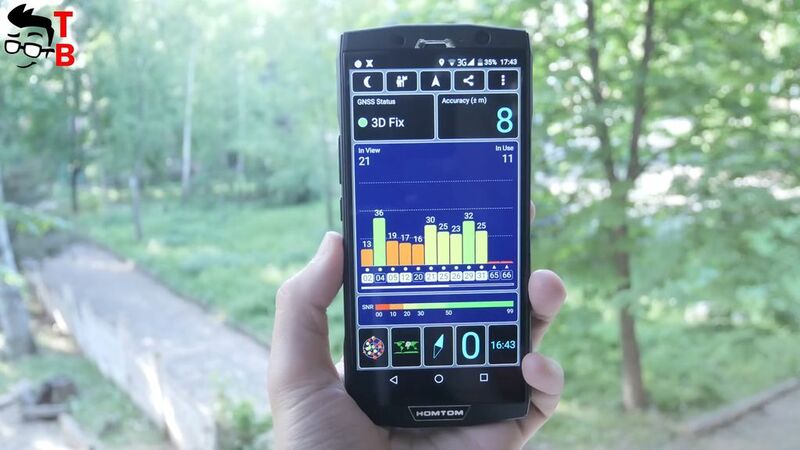 This is not good, because the high temperature affects the performance of smartphone. So, you will need to take a break while playing games, if you don’t want something happens with your phone. 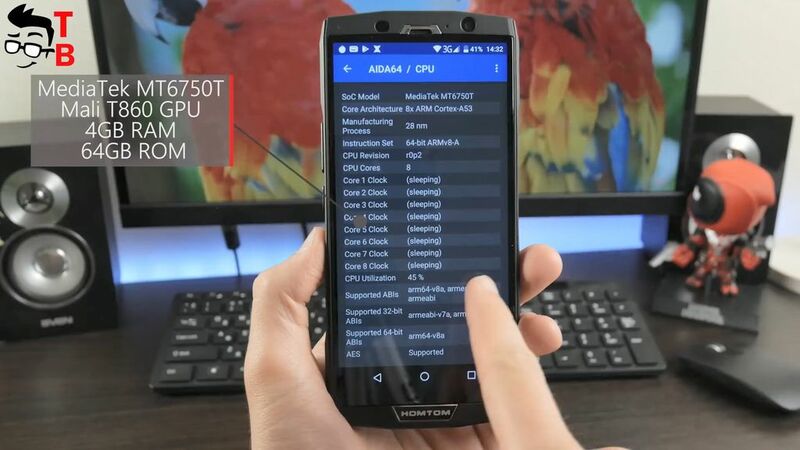 HOMTOM HT70 runs on Android 7.0 Nougat operating system. It has customized icons and wallpapers, but it general it doesn’t differ much from stock Android. There is Google services, such as YouTube, Play Store, Maps and others. Also you can find some pre-installed apps, for example, File Manager, Sound recorder, etc. User interface works fast and smooth, I don’t notice any lags or breakdowns. The battery is the main feature of HOMTOM HT70. It has a battery capacity of 10000mAh and fast charging support with 9V/3A. 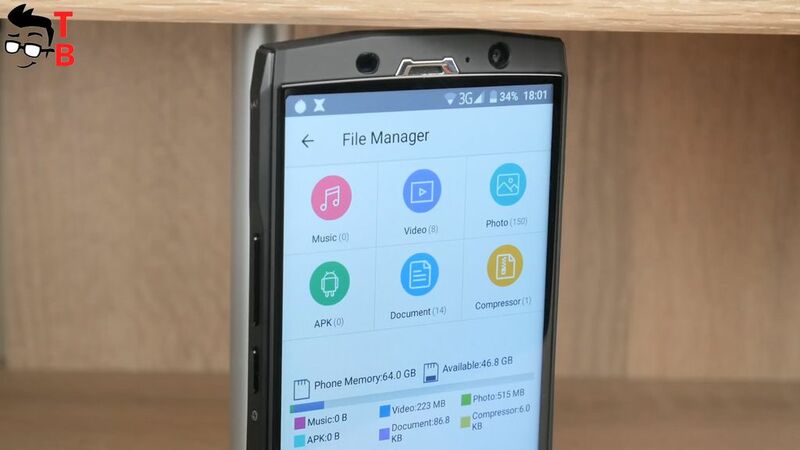 The smartphone uses USB Type-C for charging and transferring files. By the way, it supports OTG technology, so you can use HOMTOM HT70 as a power bank for charging other phones. Camera is another important thing of modern phone. 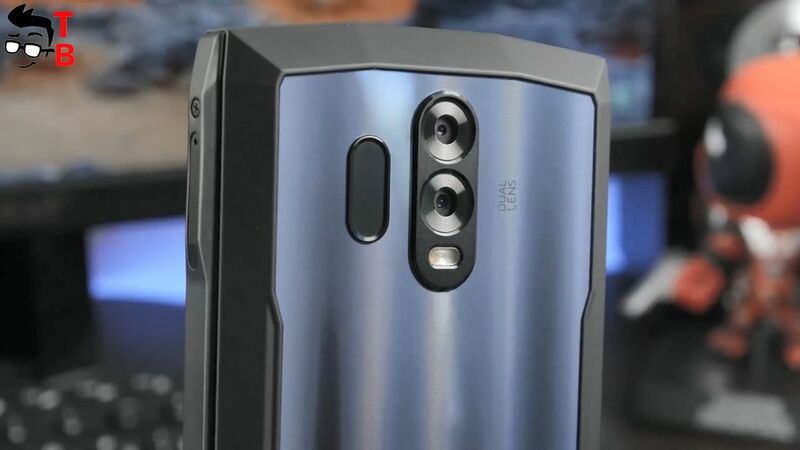 HOMTOM HT70 has dual rear camera with 13-megapixel main sensor (interpolated to 16-megapixels), and 2-megapixel secondary sensor (interpolated to 5-megapixels). Also, there is 8-megapixel front camera with interpolation to 13-megapixels. To be honest, second sensor looks fake, while interpolation does not inspire trust. 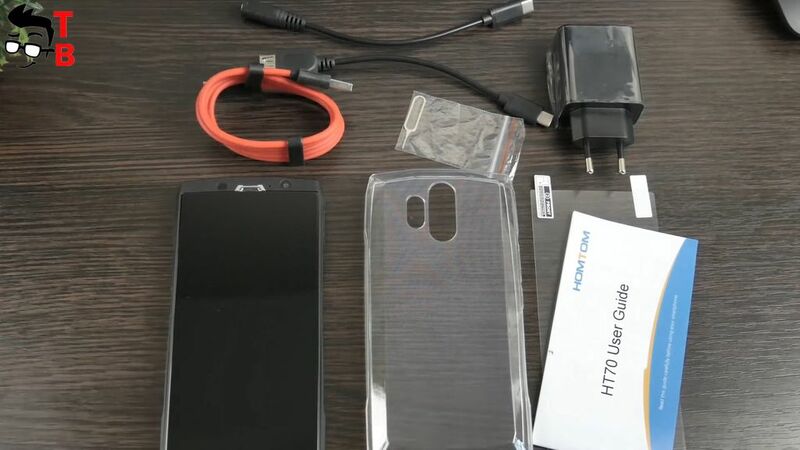 HOMTOM HT70 has standard camera app from MediaTek. There is shutter button and video recording at the bottom of the screen, and different modes at the top. The settings menu provides some options, such as GPS location, face beauty, white balance, exposure and others. Also you can choose photo and video resolution. So, there is nothing special, and camera app is standard for all MediaTek phones. 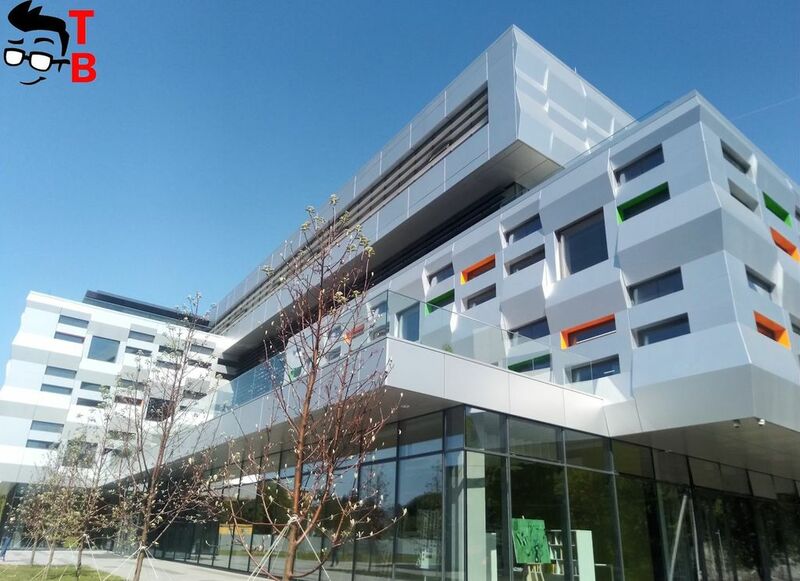 In general, the photos in daylight conditions are quite good. They are detailed, bright and have natural colors. However, I have sunny weather, and some images are overexposed. 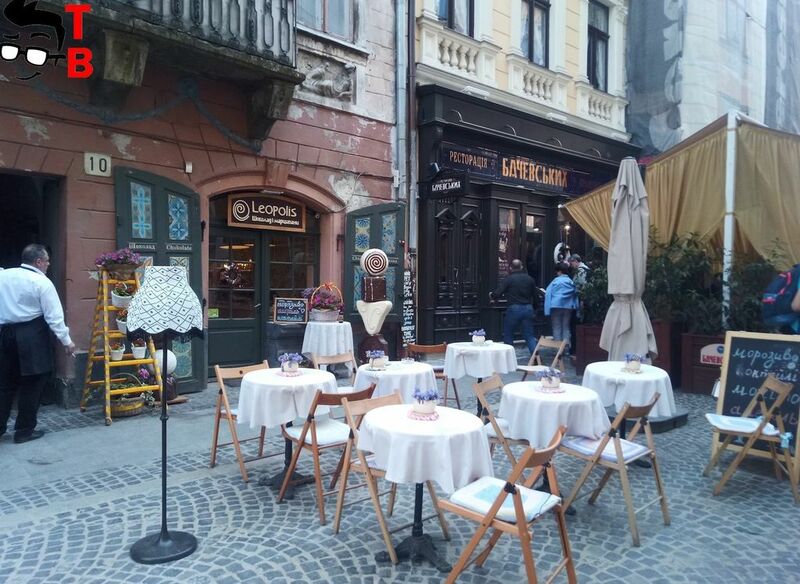 Perhaps, you will need a little more time to make really good photos. I mean, you should choose the best settings and then postprocessing images with different apps. Also I am satisfies with photos indoors. The focus takes a little more time than outdoors, but the image quality is almost the same as in daylight. 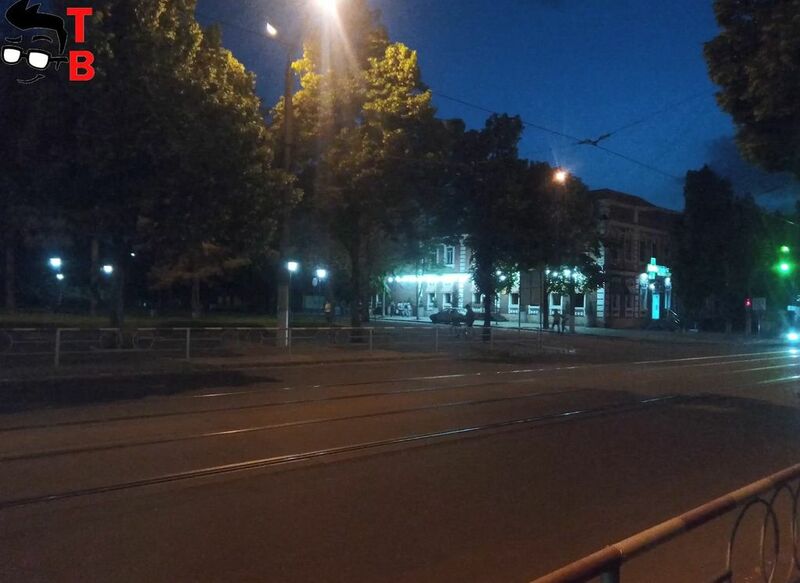 As for night photos, the situation is not so good. 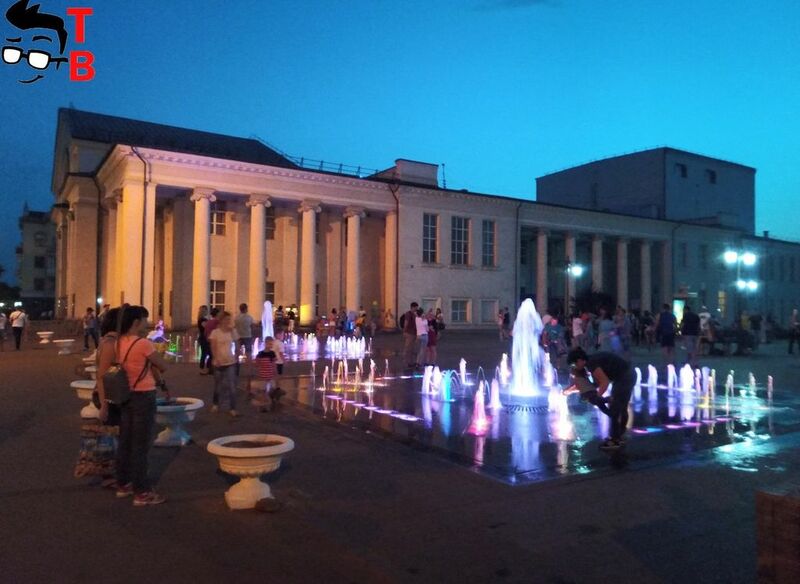 Most images are grainy, and the photos with streets lights are overexposed. 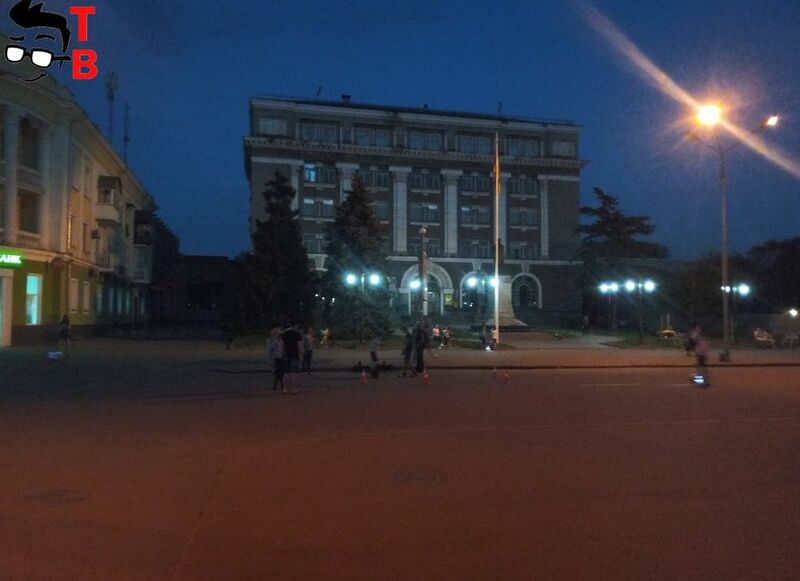 I don’t want to say that images at night are terrible, because HOMTOM HT70 doesn’t differ from other budget phones. All of them take similar images in poor lighting condition. If you postprocessing photos, you can receive some good images. 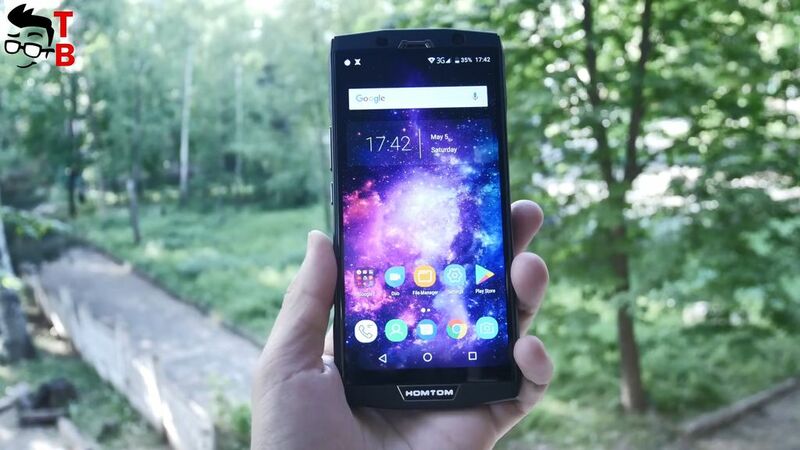 HOMTOM HT70 doesn’t have image stabilization, however video recording is quite smooth. 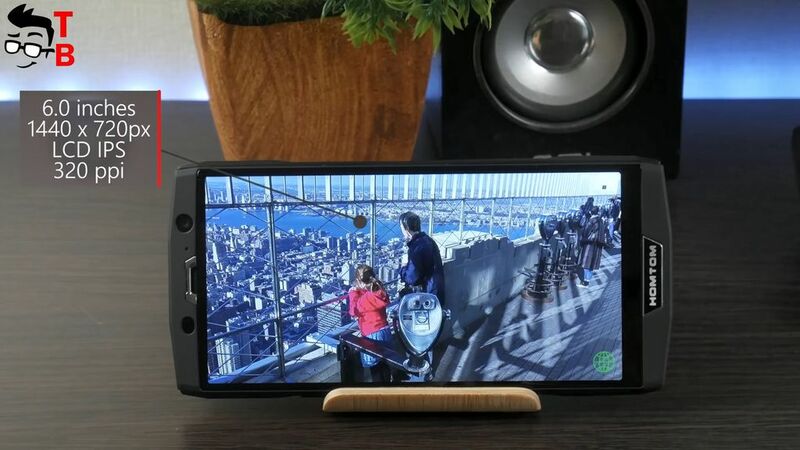 The smartphone record video in Full HD resolution. In general, the video quality is good, the image is bright and colorful, however, I think there is a lack of details. It seems that video is unfocused, but I touch the screen when start recording. As for the night videos, it is hard to see something. It is very dark, and you should find a place with good lighting. However, I cannot say it is overexposed or grainy. 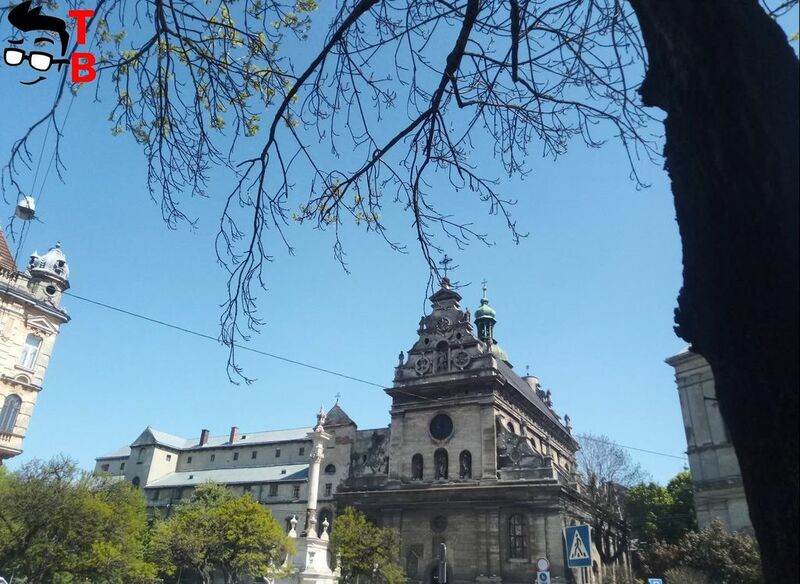 So, what can I say about HOMTOM HT70 camera? I didn’t expect high image quality from a budget phone. Its main feature is a big battery, not camera. However, the phone can take good photos in daylight conditions. Also you can use this phone at night, the images are quite good. But it will take a little more time, than on flagship phone, because you need to stay, focus and make some settings before taking photo. HOMTOM HT70 is very interesting phone. This unboxing and first review video shows that the package is good. There is OTG cable, adapter from USB Type-C to headphones jack, protective film, silicone case. 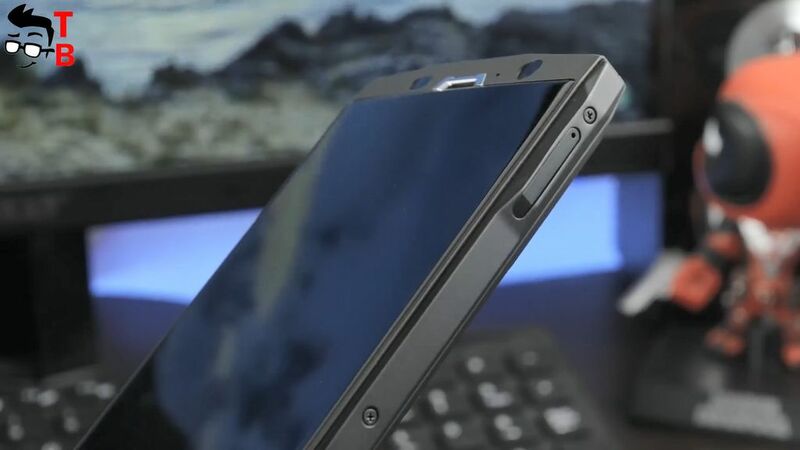 The design is very attractive, but the phone itself is quite heavy and thick. The performance is really good for this price category, and I don’t have any problems with software or connectivity. However, there are still some questions to this phone – battery life and cameras. 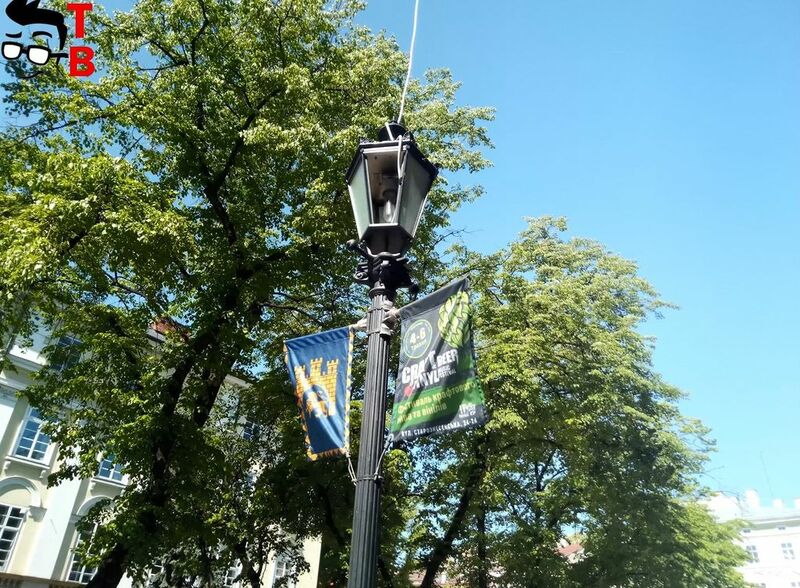 AGM X2 SE Review In-Depth: What's The Difference with AGM X2? Huawei Nova 2i Review In-Depth: Should You Buy This Phone in 2018? I am not disputing your review since I am also a soon going to be owner of HT70 (End August) . But I thought it is imperative to point out that MT6750T is an “OCTA Core” rather than your assessment that it is a QuadCore device. We are aware that performance is mid to low range since the Chinese OEM has still not migrated their design engineers to the newer MTK Helio or X series SoC. Whilw MTK keeps churning out newer SoC architecture and I belief it will get to the point where it can keep up with QualComms/Exynos, beating them is another story. Because of the MTK SoC architecture itself.But in terms of volumes almost all the China local market brands (not meant for export are based on MTK) they are a giant. Coming back to HT70 the twin camera is a bit of a let down because “bokeh” 2nd lens doesnt contribute to improving photo quality and low light performance is “noisy”. 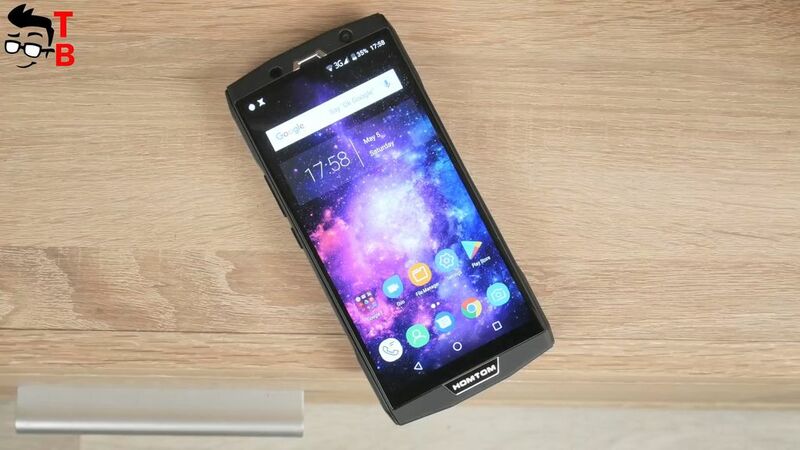 Other than that the HT70 fits my purpose , it is Nougat (would have liked Oreo), has plenty of storage and RAM space, high capacity battery, a unique design that will get plenty of attention and my web surfing and YouTube performance. I never played any games on my devices or PC so that should take care of any weakness in the graphics department. I will be pleased when I received it and immediately “root” and install TWRP.